Billy Lister is a Paralympic cyclist who most recently represented Team USA in the Rio Olympics, competing in both track and road events. 18 years ago, Billy was diagnosed with a rare and acute brain abnormality which resulted in a loss of mobility due to a stroke. With 6 million stroke survivors living in the U.S., Billy hopes his aspirations will lend them hope and courage. He has pledged to train for the next three Paralympics in the years 2020, 2024, and 2028. 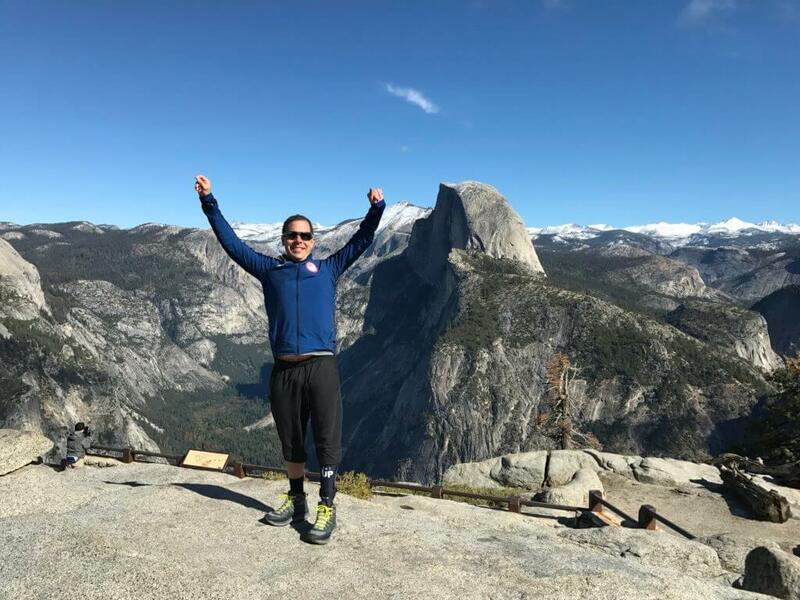 In this episode, Erik, Jeff, and Dave traveled to the U.S. Olympic Training Center in Colorado Springs to catch up with Billy between his training sessions and talk about his No Barriers journey. Billy describes being sidelined from his track in life of finding a job in finance and living a “normal” life to discovering his condition, having a new, experimental brain surgery and his road to not just rehabilitation but a successful career path as a Paralympic athlete. Billy explains the difficulty he had with acknowledging his disability and the lengths he went to hide it from himself and the world. His disability led to loneliness, isolation, and relying on vices. Then, Billy found himself at a No Barriers Summit and discovered he was not alone. He met others like him; met role models who inspired him. 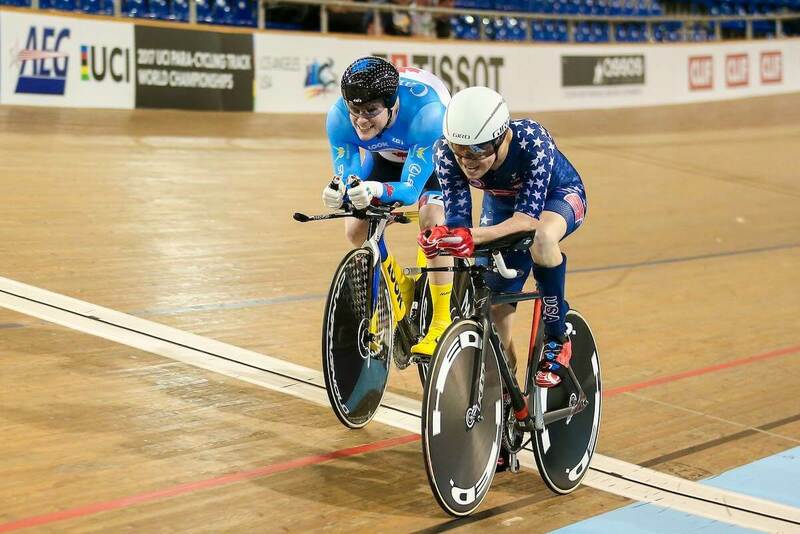 He decided to take on the challenge of re-learning how to ride a bike and that began an unexpected path to becoming a professional athlete and Paralympian. During the conversation, Billy offers advice for those who were in his same position and struggling with accepting their disability. He provides a window into the tools and mindset he employs to train at the level he does and to not just live with a disability, but to ultimately, even be grateful for his condition. Billy: The fascinating thing about the Olympic and Paralympic dream is you can dedicate your entire life for four years, every single minute of every single day, and then you have one chance to prove yourself. Erik: It’s easier to talk about our triumphs, but what doesn’t get talked about enough is the struggle. My name is Erik Weihenmayer. I’m an adventurer. I climbed Mount Everest, and the Seven Summits, the tallest peak in every continent. And, I happen to be blind. This is the No Barriers Podcast. Dave: On today’s show, we meet Billy Lister, a 2016 Paralympic cyclist, who was diagnosed with a rare and acute brain abnormality which resulted in a loss of mobility due to stroke. 17 years later, after dedicated training, Billy represented Team USA in the Rio Olympics, competing in both track and road events. With six million stroke survivors living in the United States, Billy hopes his aspirations will lend them hope and courage. He has pledged to train for the next three Olympics in the years 2020, 2024, and 2028. Dave: Welcome, everybody, to our No Barriers podcast. We are podcasting to you from the US Olympic Training Center in Colorado Springs, Colorado, at 6,500 feet. Pretty excited to be here with a Olympian today. We’re going to get to know Billy Lister in this podcast. But, to get us started, we were talking with Billy over lunch before we sat down today, and I thought one thing he said was really interesting. “Every kid’s dream is to become a professional athlete.” Erik, has that been your dream? Erik: Yeah. It’s every kid’s dream, as Billy said. Yeah. When I thought about making a life as a climber, as a teacher, I love teaching, but gosh, was it scary to think about making that transition into the world where I could somehow make a living as a climber in the mountains. So, yeah, I’m really excited to dive into Billy’s story, and find out how that transition happened, both physically and mentally. Dave: What about you, Jeff? Jeff: Well, when I was in high school I was a wrestler, and I had one tournament camp that I went to, and I wrestled a pre-Olympian. I knew that going into it. The dude destroyed me. Literally tech falled me. It was embarrassing. And then I realized, there’s just that caliber of an athlete, and then there’s the rest of us. So, my aspirations for being an Olympian were flushed down the toilet [inaudible 00:02:41] I was like, “Oh, I’m not wired that way. I’m [crosstalk 00:02:44] fabric.” So, so much respect for people who have the dedication to be able to commit their lives to this thing, and then become the best in the world at it. Fantastic. Erik: And, Dave, you wanted to be a basketball player or something, right? Dave: Yeah, when I was growing up, I played a lot of basketball. I tried out as a walk on at [inaudible 00:03:03] University and realized that I was not even close to being competitive at that level. But, that was definitely a big dream. Dave: Well, we are thrilled to introduce you all here today to Billy Lister, who’s sitting with us, as I mentioned, at the Olympic training center. He already, today, it’s midday for us, and he’s already worked out twice and has another couple of workouts coming this afternoon. Erik: So, this is his third workout, he told me. Dave: Yeah, this is workout 2.5. Jeff: Yeah, but that’s how you can justify slamming a big bowl of yogurt with chocolate milk and stuff. Dave: Yeah. And a soft-serve ice cream for dessert. Erik: So, you’re burning 2,000-3,000 calories a day, and you have a very interesting life. So, tell us about what your day looks like. Paint a picture for us, because most people are grinding away, maybe in their cubicles. Tell us how envious people should be. Billy: Well, it’s definitively, I can say that I have one of the greatest lives in the history of history. And on a day-to-day basis, really, it kind of depends. Every day has a purpose and every day has a goal. It’s not different than a person who goes into a job, who’s working a 9-5, where they get up and they want to make X number of sales every single day, or they want to secure a new account, or they want to accomplish a certain goal. Billy: Being a professional athlete and a Paralympic cyclist, it’s a similar concept, that every single day you wake up with a goal in mind. Every single day will have anywhere from one to four workouts, can range and mix and match from being a strength and conditioning workout, we were talking over lunch before that usually my strength and conditioning workouts range anywhere from two to two and a half hours, and then will hop on my bike right after that and ride from anywhere from two to four hours, and will do that two or three times a day. Billy: Then comes everything else. You know? When you think about a professional athlete, think about becoming dedicated to your sport. Something that gets overlooked so much is the recovery aspect, and the nutrition aspect, and the psychological aspect. And all of those components are equally important to being an elite athlete, just as much as the physical training, such as going into a gym, such as going on a bike, such as going to a wrestling practice, or whatever your sport may be. The recovery aspect is paramount to becoming a better athlete and a better individual. Billy: So, that was something that took a while. Outside of my day-to-day physical training, the rest of my time and days are taken up by eating in the cafeteria, taking naps every once in a while, and then recovery. And that can be used by a lot of modalities that we have here at the training center. One of our favorite things to do is to sit in a cold plunge, to sit in a giant bath of ice water. Jeff: What’s the temperature of that thing? Jeff: How long do you stay in it? Jeff: Are you suffering or is it enjoyable? Billy: So, you copy out of that by saying that usually, hopefully, the hope is that after about two and a half to three minutes, your body goes numb. So, then you can’t feel anything, and then it’s not as bad. Jeff: You say the hope. Then, is there times when you just … You’re done? Billy: There are some times your body just doesn’t go numb. Erik: We’re hoping not to go numb now. Jeff: Yeah, yeah. Just trying to avoid that. Erik: So, that’s the science of recovery, which is fascinating. Even when you win the lottery, even when you have the life of lifes, like you just opened up with, you know, when you’re in the daily grind of training every day, two to three workouts a day, or four workouts a day, there’s got to be some stuff you got to do in your mind, though. Because, even if you eat your favorite kind of pancakes every day, that becomes work after a while, right? Erik: What kind of stuff have you built in your mind to be able to not have that stay a dream, to actually that be a reality where you can sustain this thing that you’re doing? Billy: You have to train your brain to be in a certain state of discomfort throughout every single day. And you need to have an idea and a drive and determination to be willing to accept that. And it can be really hard at first. Through a lot of different modalities, such as mindfulness work, I was able to come to … I guess you can say come to a level of cognitive acceptance that strengthened my mind, strengthened my psychological aspect of sport, because grinding every single day can get tiring, and it can get very wearisome, and you can work as hard as you possibly can. Billy: The fascinating thing about the Olympic and Paralympic dreams is you can dedicate your entire life for four years, every single minute of every single day, and then you have one chance to prove yourself. Erik: There’s a lot of pressure, too [crosstalk 00:08:35] right? Billy: There is a massive amount of pressure. Jeff: … and your youth, and how that put you where you are. Billy: That, any low point in my life right now is still the top of the mountain that was previously, when I was in my 20s and when I was just a late teenager, going through my stroke and my disability, and really figuring myself out. And, you know, it ties into the Olympic dream too, because back in 1992 with the Dream Team, I mean, come on, who didn’t get behind that team? You know, when they were going over to Barcelona and winning the gold medal. I mean, that was one of the greatest things on earth. Erik: So, you dreamed about that, right? Billy: Yeah. So, as a kid, I had absolute, you know, every dream in the world to become a professional athlete. It was great. And I played every sport under the sun, from soccer to basketball, baseball, football, lacrosse, everything I could get my hands on. And then, as I was entering my freshman year of high school, that’s when I started having some of my medical problems, and was diagnosed with a very rare and acute brain abnormality, something called an arteriovenous malformation. Because of the deeply recessed location of that AVM, I had to undergo a very, at the time, unproven procedure, something called the gamma knife surgery. Billy: So, an AVM is essentially an extra set of blood vessels that’s in your brain, you’re born with, that is a ticking time bomb. So, it’s one of those Acme bombs from the Looney Tunes cartoons that you used to watch when you were a kid, and at any moment it can rupture and bleed. It also could not rupture and bleed, and you could live your life, live a full and happy life, until you’re 80, 90, 100 years old. That’s playing the lottery and playing the odds, and when I was just a 15-year-old kid, the odds were not in my favor, and it likely was going to kill me. And that would have been really bad. Billy: Delicious chocolate milk. Yeah. Billy: Like I said, a very unproven procedure at the time. It was called the gamma knife surgery. Essentially, what that was is if you think of the old movie … Did you guys ever watch that old movie Hellraiser? This super scary Sci-Fi movie where the guy’s got that huge rim around his head? Billy: So, I kind of went under a surgery where I had to wear that, and in essence, what this procedure does is it takes about 10 very localized beams of gamma radiation. On their own, individually, they’re not radioactive to the individual that is undergoing the surgery, but all these beams come together to form one ray, one gamma knife, and then that, actually, can go invasively through the skull and into your brain, and actually treat and kill a part of your brain. Billy: So, the point was was that they were treating this AVM, this set of blood vessels that was threatening my life. The surgery was a complete success. It saved my life. It got rid of any threat that I was facing. But, because this was a very unproven surgery, they didn’t understand all of the side-effects. They didn’t know anything that … What possibly could go wrong. And a lot of things ended up going wrong. That’s when I started to experience some swelling in my brain, which led to a loss of function on my left-hand side. Immediately went into intensive physical and occupational rehab. Was making a lot of gains, doing a lot better. But then, in June 1999, was when I suffered my stroke. That was exactly one month after my 17th birthday. Jeff: A little birthday present for you. Billy: Yeah, yeah, exactly. Yeah. Learning how to drive, here are the keys to the car, and by the way, you no longer can use the left side of your body. Jeff: And that happened overnight? Billy: Actually, no. So, my stroke was very, a tremendously unique process. It was an atypical event. My stroke was actually over a four-week long period. Each day, I woke up and I couldn’t do something I could do the day before. Billy: First day I woke up I couldn’t type on a keyboard. The day after that, I could tie my shoes. Day after that I wasn’t able to button up my shirt. Day after that had trouble brushing my teeth, opening a door, and then, eventually, the ability to walk without assistance. So, that was pretty difficult, just because, like I was saying, I was an all-American kid growing up. I was good at everything. There wasn’t anything that I couldn’t do or I couldn’t figure out. Billy: And to go through this process, and to all of a sudden have that physical ability and that physical capacity, that excellence that I had, just completely taken away from me, that was something that was really difficult, and very hard to cope with. Especially just as you’re going through high school and dealing with a lot of things that any 16, 17-year-old kid deals with on a regular basis. Every 17-year-old kid thinks that the small things is the end of the world, end of their world, and mine was quite apropos to that. Erik: … where you just start losing things. Because I feel like going blind affected, in a way, my mindset, the way I see life, for good and for bad. Do you think that when that happens to you, as a kid, at such a vulnerable age, it does create something in the mind in terms of how you approach life. Billy: For me, personally … I think this manifests differently for everybody, and for me, it changed my life and the way that I view things, but it didn’t change it right away. Because I’ve always never liked the word denial, because it anticipates acceptance, and I’m just not a huge fan of those words. I had all of the signs of every denial, that I would not believe that this was my life, that this was my body, that this was something that I had to live with for the rest of my life. Billy: So, I think that because I was denying so much of the physicality of my new self and my new reality, I think, in turn, I also was denying the mindset that had altered and had changed. So, I basically was just regressing it, and not bringing it to life. It was there. It had changed. I just didn’t allow it to change me at the time. Erik: So, what do you do? You go into denial, right? Billy: Yeah. Completely. Yeah. And for the better part of 12 years, I was in that permanent state of denial. Erik: So, what does denial look like, though? Because I bet you a lot of people maybe might find that they may not have gone through something physical, but they may be in denial too. What is that like for you? Billy: For me, it manifested to a lot of vices and addiction. Turning to alcohol and drugs. And really it came down to the fact that I just wanted to destroy my body. I did not want the body that I was living in, and I didn’t care what I did to it or how it survived. I wanted it to be gone. I didn’t want it any more. So, I was destroying it, every single day, every single weekend. Billy: Exactly. Yeah. Yeah, exactly. Absolutely. dave: And, that’s, in a way … Is that a way, to maybe, to say, “At least I have the power to screw my body up worse.”? Billy: You know, I guess in a sense it’s taking control over a completely uncontrollable situation, and that was, I guess, my way of doing it. Jeff: Now, here we are with the two of you who both went through what could be perceived as a pretty catastrophic event, as you both were young boys growing into men, and you both went … And I know Erik’s story, and yours sounds pretty similar, that you just went to this deep, dark place. Was there … I guess, the two of you I would ask to this question, of, was there a point, was there a day where you said, “Enough. I’m going to recalibrate.”? Or was it just like you talked about a little bit ago with the mindset. Did it just take years and years of just beating yourself down? Was there a person or mentor or an ally that was really instrumental? Billy: Yeah. For me, they’re sitting in this room. Dave: Good setup. That was Jeff [crosstalk 00:18:25] setting this up. Jeff: I just softballed you. Erik: But, you had a pretty good job, you had an awesome job, you had a lot of friends. Billy: For sure. After I graduated from high school and was figuring out life with a disability, went on to college and graduated from college in four years, and kind of did what every 24-year-old white male from Long Island, New York does, and that’s move to New York City and Manhattan and go work on Wall Street. And I did. I had a very successful career working down on Wall Street for a commodities trading company, and I was making a ton of money, and was, on the face of things, and seemingly, successful. Billy: I realized that my life had no purpose. I mean, I can see now that … You know, hindsight’s 20/20. That my life had no passion and had no vision. It had no luster to it. It was just something that I was just doing, and it was just something that I found, and I was good at, and was what all my friends were doing, and what everybody else was doing, and it was something that came, not easy, but came natural, I guess you could say. Billy: So, on the surface of things, for certain, I was very successful and had … I was living a good life. To me, that was smoke and mirrors. That was the façade for everything that was going on internally, and everything that I was dealing with inside, both my heart and my mind. One of the stories that sticks in my mind so well, even to this day like it was yesterday, and this is exactly what leads me to the next phase, was I remember I was on a subway in New York City, it was probably my mid-20s or something, and was with a bunch of friends. Billy: There were a few individuals who were friends of my friends with us, and we were on the train. They didn’t know me, we’d never really met, but we’re kind of just all as a group. And we take the subway, we get to our stop, and we get off the train, and we’re walking across the platform and going up to the stairs. And one of these individuals comes up to me and they say, “Hey, Billy,” you know, “Why are you limping? Did you sprain your ankle? Or is something wrong?” And I remember, till this day, the exact words that I said to that individual was, “There’s nothing wrong with me.” Denial. And that’s exactly what shows that I literally had convinced myself that there really was nothing wrong with me. That I was not physically disabled. I was not handicapped, and that I was the same, exact kid that I was prior to my stroke and my disability. Erik: … it’s everyone. I find myself doing that. Billy: Find yourself saying that you can still see, right? Billy: Yeah. You know, I don’t know, you know? It’s kind of that conservation, protectionism where you think that you’re the only person that can fix your problems, and that you’re the only one that knows how to do it, and that really, maybe, you’ve convinced yourself that there really is nothing wrong with you, when in reality it’s the exact opposite. That was for me, and that was my case. Billy: At the time, I didn’t even think twice about it. Just kept walking and was like, “Okay, let’s just keep going.” That was some of the lower times, from a psychological, mindset perspective, that I literally was just living in this negative fantasy world. It was not my life. It was not something that I was happy with. It was not something that I wanted, and I was going to push it into the corner, and not talk about it as much as humanly possible, until it got better, which was never going to happen. Billy: So, the next phase, which was the cataclysmic evolution of what turned my vision upside down, or, I should say, right side up. Billy: … and something that really was outside of my comfort zone at the time. Light years outside of my comfort zone. Jeff: Because, by going to the summit, you’re, in a way, acknowledging, “I have a disability.” Right? Jeff: So, that was a big recalibration for you. Billy: Absolutely. And I think, actually, I don’t even know if I fully understood what No Barriers was at the time, and that it actually was geared towards individuals with disabilities. Because I remember one of the first symposiums that we had, and this was back when we were just starting the symposiums, and I’m sitting at the back of the room, because I’m pretty shy at this time, you know? I don’t have the personality that I have today. And sitting literally in the back room. Jeff: You’ve been keeping the secret from Billy. Billy: Yeah, seriously. Where was Pandora’s box the past 12 years? And that’s what opened it, and that right there was the moment that turned the light switch on. Erik: So you’re climbing the stairs in the subway, and you say, “There’s nothing wrong with me,” to that moment. It made me think loneliness. You’re going to do this all alone, right? It’s hard to trust people. Erik: You know, so you go like, it … But that’s a lonely road, right? Where I’m the only guy that’s had this stroke, or that’s had this thing happen to me. This journey is just me. It’s all on me. That’s a really hard thing to handle. That’s a lot of weight. Billy: Yeah. At the time I didn’t even know … I guess it can say I was blind to reality, that everything around me, I was living in a big massive city, in New York City, where there’s tens of thousands, hundreds of thousands of individuals living with a disability and who are handicapped, but I’d never seen any. It’s like that entire community and that entire world was completely separated from where I was living, in my reality. That I didn’t even know other people would be living in this world with a disability. I literally had created this tiny, little section for myself, that I was the only person in the entire world that was living with a physical disability. And I’m pretty sure I convinced myself of that massive, massive, crazy reality. Billy: Just because I didn’t want to branch out, I didn’t want to extend myself, I didn’t want to believe anything else. So, that’s why, in that room in Miami, when it was just like, “Well, jeez, wait, you guys are like me? Wait, I’m like you.” Not exactly, but, you know, that was exactly what changed it. Jeff: Exactly so. You kept it so confined in your space that you committed yourself, emotionally and mentally, to this, just so you could walk out into it. Jeff: So, it was almost like being reborn again, it sounds like. Billy: Yeah. Well, when I turn the volume up, I turn it up to 11. Billy: Yeah. So, unknowingly that was when my DNA, literally, my actual DNA changed. Inside and out. Everything about me was completely different. That was the kind of time where somebody just tapped me on the shoulder and said, “Hey, you’re just looking through the wrong lens.” It was a downhill sprint ever since. Billy: That was in 2009, and just two years later, I got invited out to a paratriathlon camp in San Diego, with the Challenged Athletes Foundation, who I met at the summit. They invited me out there, and that’s where I got on a bicycle for the very first time since my 17th birthday. So, it had been 14 years since I’d been on a bicycle, and it was the proverbial father-son moment where the director of programs lends me his bike, we’re in the parking lot of their headquarters, and literally he’s hanging onto the saddle of this 29-year-old guy and I’m literally just riding around a bicycle like a five-year-old kid, all over again. Erik: Remember there is a ride in Disney World called Mr Toad’s Wild Ride? Where it’s just like you’re flinging left and right. Was that first ride kind of crazy? Dave: Just pouring a bucket of kerosene on it? Billy: … was, yeah, just taking a giant gallon jug of kerosene and just making an atomic bomb out of it. Dave: Excellent. My kind of excellent. Erik: So, you loved it. Just back up. You loved riding a bike. Billy: I mean, that feeling that you’re a four, five-year-old kid, of learning how to ride a bike, which is literally one of the greatest epiphanies you can have, as an individual. I got to do that twice. dave: So, now you go forward in a joyful way of, “I want to do more of this,” right? Jeff: … your brain, of being an Olympic cyclist? Billy: Didn’t even know what the Paralympics were at the time. Jeff: You were just enjoying it. Billy: Just having fun. So, I went back to New York, and the age-old adage that says, “You fall down 100, you get up 101.” Truer words have never been spoken about me, because my balance at the time was terrible. I didn’t know how to use my body physically, because I’d never tested it. I’d been sedentary for the better part of a decade and a half. So, never tried to see what I can, and more importantly, what I can’t do. I had no idea what my level of function was. Billy: But, I didn’t care. I just went out and tried it and did it. Taught myself how to ride a two-wheel bike, and then, through the Challenged Athletes Foundation, because their base is in the sport of triathlon, started to test out and started to race paratriathlon. Did a few triathlons. I was never very good, just because I can’t run. My gait’s just terrible, and it just doesn’t work. But it was more for the completion, a sense of accomplishment. Jeff: Okay, so, you must have done really well? Billy: Yeah, you know, so I was completing them, and was having a lot of fun. Was doing great with that. From a competitiveness perspective, I was never really that competitive. And then, in 2013, that’s when I moved from New York to Orange County, California, and started riding a lot more. Was starting to dedicate myself to training. Riding bikes for a regular basis. Billy: That’s when I got invited to a race down in San Diego, with U.S. Paralympics. It was the first time I’d ever actually even been introduced to U.S. Paralympics. Didn’t even know Paralympics was. Had no idea that there was such an elite stage of athletics, and that Paralympians are equivalent to our Olympic athletes. Billy: So, I got invited out to a race. Had no idea what I was doing. Just wide-eyed. Get to the start line, showed up, and I did really well. And that was what triggered everything. That kind of showed that, wow, you know, that athlete and that kid you were growing up, that all-American kid that I was was still in there. Billy: So, that’s when I officially got on the radar for U.S. Paralympics and U.S. Paralympic cycling. I would have to say that everything since then … I’ve been a bike racer ever since. That was what did it. You know, obviously there was a progression over the past three and a half years to get to where I am today, and a lot of work, but, you know, just one step at a time. My first step was in 2014, going to my first international race and racing with some of the best Paralympic cyclists in the entire world. I got my teeth kicked in that first race, which was awesome. It was a great learning experience. That led me to going back home and figuring out what your weaknesses are, and focusing on your strengths. Dave: When you were talking about that moment at the summit and then that pivotal time where the mindset shifted, I mean, I think a lot of us walk through life with a veil, hiding behind the things that we’re struggling with, and not willing to show those, as you were talking about, in New York when you were denying who you really were. Dave: I saw a quote earlier this week that was, “Everyone you meet is fighting a battle you know nothing about.” What advice could you give to someone who’s in that moment of being afraid to show that vulnerability? You found a solution at No Barriers summit, but what would be your advice to someone else who’s in that period of their life? Billy: The one piece of advice that I wish someone had given me all those years was, “Just say yes.” You know? Billy: Yes to everything. Everything. You know, when you’re in those dark moments of your life, and you’re in those doldrums and valleys, it’s so easy to say no, and it’s so easy to just do what … To take the already beaten path and to fall back on something that you’re comfortable with, and that just comes natural. Jeff: You might have more gold medals? Billy: Yeah. Or wouldn’t have been as dark as it manifested itself to be for all that time. Jeff: So, to me, the big question for me, that I have for you, is, once again, back to this idea of those dark times, and maybe they wouldn’t have been as dark, but now you can look back in your rear view mirror, wouldn’t you agree that those darkest valleys that you were in have, in a way, re-fabricated you, and recreated you, so that on these days when you have five workouts and you’re just crushing them, you’re wired a certain way now, because Billy went through these dark spells. Jeff: Would you trade those in? Billy: Not for a second. Jeff: Would you trade it in? Erik: But you said you don’t like the word acceptance, really. Remember in the beginning of the podcast? Erik: So, what is it for you, then? Billy: I think the word is clarity. You know? It’s really knowing, clarity and pride. I think the biggest difference with me, now, is before, exactly like that’s the way I was just saying, when I was on the platform of that train, you know, that I did not accept my disability. I was not proud of my disability. I didn’t want anybody to know that I have a disability. After going to the summit and after everything that I’ve been through over the past six or seven years, getting to becoming an elite, professional athlete, now I’m at the point in my life now where I want to go to the top of a mountain, and I want to scream to everybody that I have a physical disability. I want everybody to know that I have a physical disability, because I am proud of it, and because it is a part of me, and because it is something that I love about me, and it is something that defines me. Dave: Well, Billy, as we are finishing up, here, that’s a powerful statement. Tell our listeners where they can see you next in your next competition. Billy: So, right now it’s just gearing up towards Tokyo in 2020. So, all the sights and drive and resources and everything are going towards making the Tokyo 2020 Paralympic team, and then taking the next step in my evolution, and getting on the podium in Tokyo, and bringing home some Paralympic medals. Jeff: Did I see you want to compete in the 2028 Olympics? Erik: I read that as well. I was impressed. Billy: So, my stated goal, 2028 Paralympic games, Olympic and Paralympic games, are going to be on home soil in Los Angeles, California. Billy: So, my personal stated goal is to compete through 2028 and compete in the Los Angeles Paralympic games, and to stand on the top of the podium in Los Angeles and listen to the National Anthem being played in front of friends, family and the home crowd. Jeff: As you lean down and get the gold medal draped over your neck. Billy: Exactly. That is the personal goal. Erik: Well, we will be there. Erik: We’ll be there. We’ll be there cheering you on, Billy. It’s really an honor to have you as one of our No Barriers ambassadors. Erik: We very much enjoyed this conversation and love what you bring to our community. We wish you all the best in the coming year, and in that quest for all of us to join you in LA. We’ll be in the sidelines watching while you’re competing. But thank you so much for being here with us. Billy: Thank you so much. Thanks for having me. Thanks for coming down to the Olympic Training Center, and glad you guys could see a day in the life here. I think this is a special thing, and it’s fantastic, because No Barriers and you guys are family, and everybody listening today on the podcast is a part of that family now, too. Dave: Well, guys, that was an amazing conversation. Just the kind of conversation you can expect to hear in all of our podcasts. When you think about what Billy just shared with us, and what we teach at No Barriers, what did you guys hear that’s common to our No Barriers message? Erik: I just think that story about standing on the subway and trying to go up the stairs, and his friend asking the question, “What’s wrong with you?” And that’s a lonely way to live. I think a lot of people have a loneliness to them. Because, they want to go at it alone. And when Billy got to the summit, he looked around. Maybe the people didn’t have the same physical disabilities as him, but he connected to that group. And we all need to connect with something. In the mountains we call that a rope team, you know? Connecting with people that you’re roped together with, and knowing that you’re standing on their shoulders in a way, right? They can lift you up. And I think that’s a powerful message for everyone. Jeff: I think Billy himself, as an individual, is extraordinary, but what we have to remind ourselves is we’ve probably all got a little Billy inside us, and it’s a matter of harnessing that, right? Because his story is extraordinary, who he is, how he’s wired, how he’s handled all these diversities, and gotten to this place. And I think a lot of listeners might think, “Oh, man, he’s just different. Erik’s just different.” But the truth is there’s a little bit of Erik, there’s a little bit of Billy in all of us. We just have to harness that. So, that’s the thing that really struck me about him. Dave: I think one of the things that really stood out, I was reading the story about Billy prior to this conversation, where he said, “Having a stroke gave me an extreme gift.” And I heard a lot of that in his conversation about that moment where he started to realize, and be proud, of this thing that he had shunned away. This thing that had happened to him that he thought was terrible for 12 years of his life could be the thing that propelled him forward, this idea that we have at No Barriers called alchemy. You know? That struggle that you’ve been pushing away, and it’s bringing you down, can actually be the energy to propel you forward. I heard that in that part of the conversation, and it really struck me. Erik: Well, cool. That was good. Dave: Yeah. Well, we’ve got a lot going on at No Barriers, as always. We’ve got annual giving campaigns that always come around this time of year, end of the year, beginning of the year, we’re always looking for gifts to support our work, to support others like Billy to have their No Barriers summit experience. And then, certainly, one of the things you can always do to help No Barriers, you’re listening to our podcast. We’re a small but growing community. Please, if you’ve enjoyed this conversation, share it with someone else.